Authors can add custom feedback to quizzes within a course. Quiz feedback will display to learners after they have submitted their answer to the quiz question. 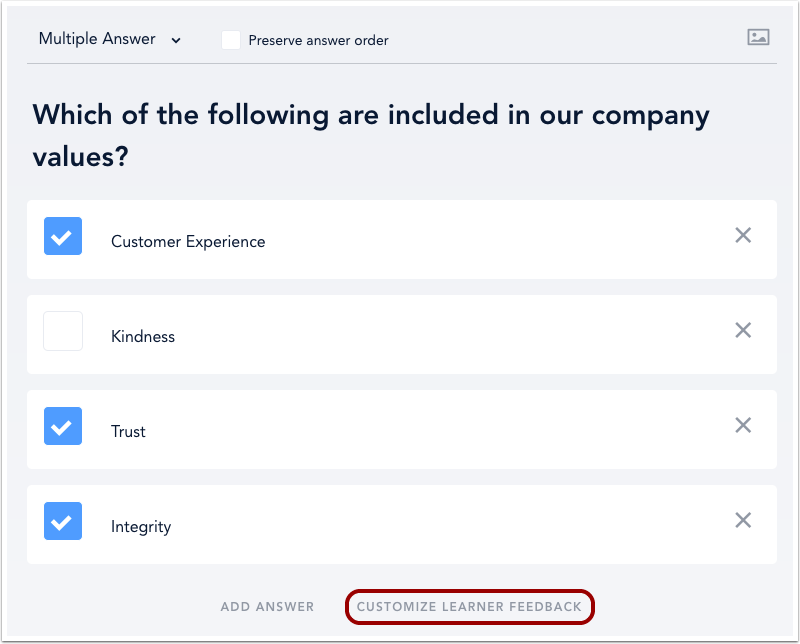 Quiz feedback can be customized to display separate messages for correct and incorrect answers or the same message for any answer. The option to create different feedback for correct and incorrect responses is not available for Short Answer quizzes. To add a new quiz question, click the Add Question link . To open an existing question, click the name of the question . To add feedback to your question, click the Customize Learner Feedback menu. Add your feedback for correct answers in the Correct field  and incorrect answers in the Incorrect field . If you do not enter your own feedback, feedback will display as the default messaging . Note: This option is not available for Short Answer quizzes. 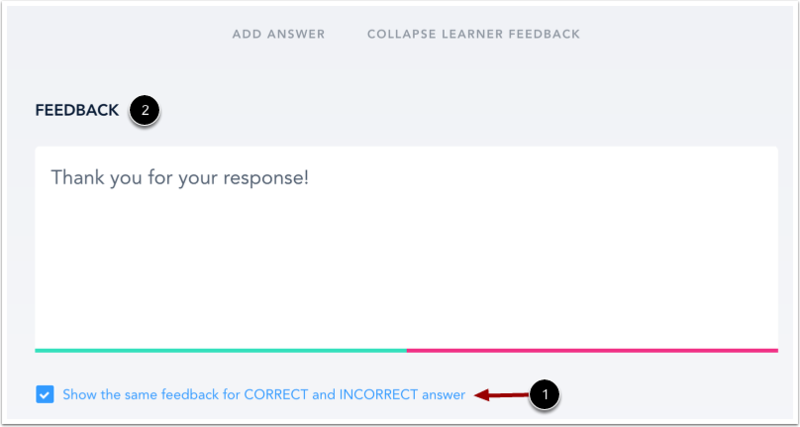 To show the same feedback message for any answer, check the Show the same feedback for CORRECT and INCORRECT answer checkbox . Then add your feedback in the Feedback field . 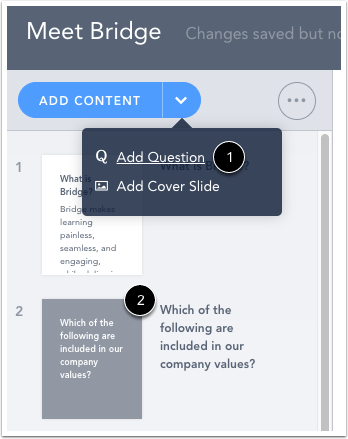 After learners submit their answer to a quiz question, your feedback will display on the slide. Previous Topic:How do I add a Short Answer quiz? Next Topic:How do I enable comments in a course? Table of Contents > Manage Courses > How do I add feedback to a quiz question? How do I add a Sorting quiz? How do I add a Multiple Choice quiz? How do I add a Multiple Answer quiz? How do I add a Steps in a Process (ordered list) quiz?